The latest class that Dr. Doolin and Dr. Haddad held in our office was on dental implants. We were pleased to host doctors from around the country who were looking to improve on their dental implant placement skills and techniques. Friday and Saturday were full of class time training and live implant placement demonstrations. The dental field is always changing and nowhere is it more evident then with the progression of dental implants. 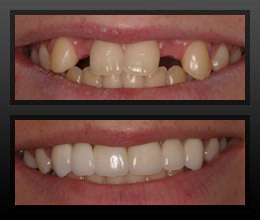 For years the most common way to replace a missing tooth was with a bridge or denture.Today most people will opt for a dental implant that allows for a more natural appearance as well as a significantly higher success rate. Patients who already have dentures can benefit from implant placement to completely replace the denture or to improve the stability of their existing denture.